Thin clouds drifting in front of Venus. Venus is the third brightest light source on the celestial ceiling, and is capable of creating coronas when the conditions are right. This photo was taken a few minutes past 23.00 local time on May 3rd 2015. 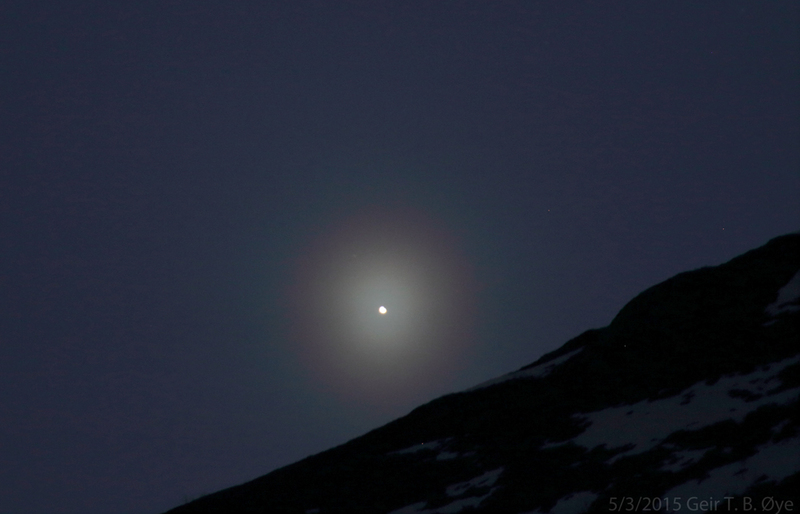 This entry was posted in Astronomy, Atmospheric Optics on May 6, 2015 by admgeiroye.